The holiday season is a popular time of year for adopting pets — and cats and dogs are firmly at the top of the list. It’s also a time for giving. Combine the two and you end up with many folks finding companion animals on their hearth decked out in big fancy bows! As a certified professional dog trainer, I’ve heard both happy and not-so-happy stories from folks who’ve been on the receiving end of a cute ball of fur. 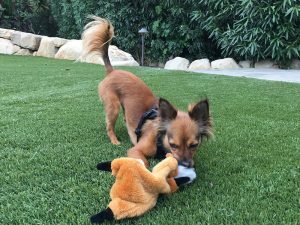 So to help ensure more stories that end on a happier note, while avoiding tales of woe, my trusty sidekick, Poncho, and I thought it would be a great time to send out gentle reminders to help you decide the best options for this life-changing decision. Surprises can be delightful, especially if you’ve been able to play investigator, gathering enough data to conclude that your friend will for sure want a pet. 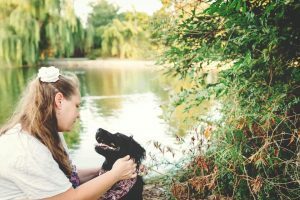 If you’re in doubt, another possible way to go about it is to recruit one family member who agrees that a new pet is both what your friend wants and is logistically feasible. My sidekick Poncho and I are fortunate enough to work together, and we enjoy sharing our office while writing and educating others about the dog-human relationship. 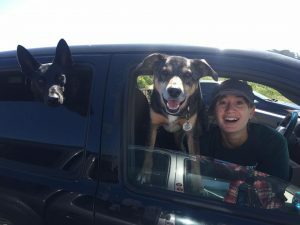 We wanted to encourage others to share in the same experience, so we decided to devote this month’s Dear Inquisitive Canine article to Take Your Dog to Work Day, which takes place on June 25th. This international pawliday was originally developed in 1999 by Pet Sitters International to help promote pet shelter adoptions by exposing those who don’t have a dog (or cat) to the joys a pet can bring, while encouraging folks to adopt from local rescues and shelters. As a certified dog trainer I agree this is a wonderful way to share the love and joy a pet brings with others. It’s also the perfect opportunity to encourage dog guardians to train, refine and show-off their dogs’ obedience skills. 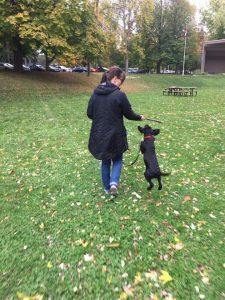 The more active roles we take in our dogs’ behaviors in public places,the more freedom they will have to go to more places. So how do you go about participating in this event? Poncho and I both wanted to provide our opinion. 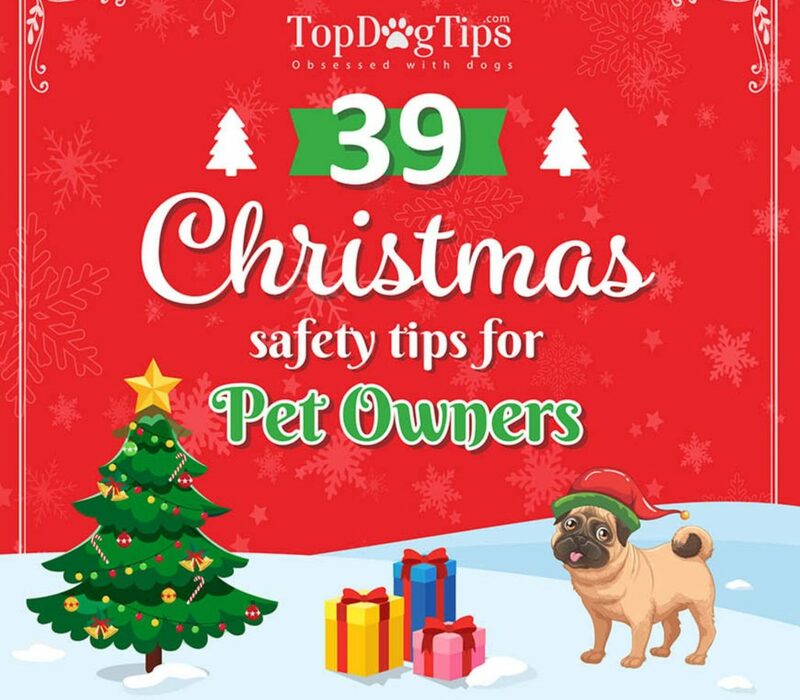 You can find his dog training tips on ways to help you prepare for taking your dog to work while I offer a general outline and suggestions to help you prepare for this exciting day below. Are dogs allowed? You’ll first need to find out if your employer will allow you to bring your dog into your place of business. If yes, will your dog be allowed in all areas or will he or she be limited to one specific location? If you are the boss, will you be allowing others to bring their dogs? Are there specified rules about dogs being on the premises? Can the rules be changed? If the health department paid a visit, would you/the company be in trouble? As much as we love this event, we want people to play by the rules. Respect your co-workers: Are all employees comfortable with dogs being in their space? Be Aware of Your Inside Environment: Is your workplace and/or office a dog-friendly environment? What will your dog be exposed to throughout the time he or she is there? New people, new sights, sounds, smells, chemicals and equipment. A completely different environment can make a dog anxious, especially if he or she has never been introduced to these conditions before. 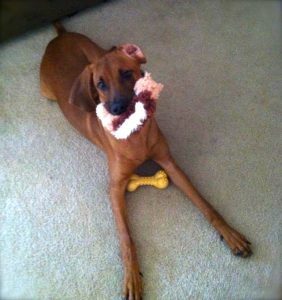 Be Aware of Your Outside Environment: Is the area conducive to dog activities such as midday walks or a game of fetch? Will your dog have a convenient area to eliminate? Will you have a convenient location to dispose of your dogs waste? What behaviors will your dog need to know? No matter the work environment your dog will most likely need to know the basics: sit (especially when greeting others), “Watch me” (good for gaining his or her attention when needed) down-stay (while you have to actually work), and loose-leash walking (while you walk to and from and throughout the office and during various midday outings). If your dog is already savvy at his or her canine behaviors for the office, I still recommend you practice, especially in new settings. As a matter of fact if you can do a dress rehearsal in your own office for a few minutes, it’ll make it easier on your dog (and you) when you are there the entire day. If your dog is new to these adventures not to worry, you still have time to practice. To make it a successful journey you’ll want to practice the basics I’ve mentioned above for at least 3-5 minutes about three times a day. As I say to my own dog training students, “Train the behavior before you need the behavior!” Just like fire and earthquake drills, you’ll want to have practiced behavior “drills” with your dog before the big day! What if you’re retired, work at home or aren’t allowed to bring your dog to work but you would like to help promote dog rescue and shelter adoption? A few ideas that can help you enjoy this day too. 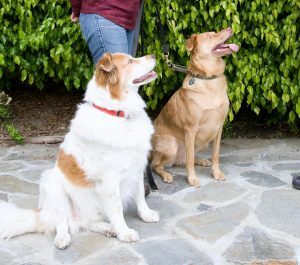 You’re retired or work at home: If you have a well-mannered dog whose skills you’d like to show off, ask friends and family if you can bring your pooch to their office for a “meet and greet.” This is fun for you, your dog, as well as those you socialize with. It’s not called “pet therapy” for nothin’! If dogs aren’t allowed in your workplace: You can bring photographs and/or video clips and share anecdotes about your dogs with coworkers. You don’t have a dog but you want to help promote shelter adoptions: Take a field trip at lunch and visit your local animal shelter. You could find out more about volunteer programs, as well as adopting or fostering a dog of your own. Whether your dog is already an employee of the month or still developing his or her good manners, it’s best to plan ahead! 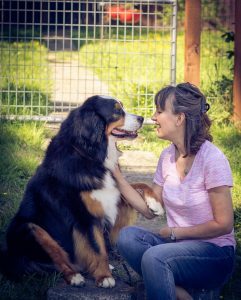 Developing a strategy to ensure success for you and your dog can not only help promote this event, but it just might enable you to bring your dog to work additional times. Sounds like the perfect situation to boost employee morale! This is such a hot topic right now, don’t you think? 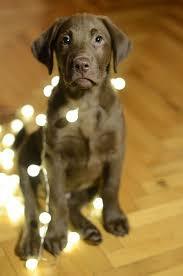 I hear it every day, “I’m going to get the kids a puppy for Christmas. What do you think?” Hmm… I’m thinking SO many things, I don’t know where to begin. Instead of bursting anyones “Hallmark moment” bubble, I just smile, giggle, and agree that having a puppy (or adult dog, or cat, etc…) is magical – there really isn’t anything like the love and joy of a furry friend…trust me! I get it! I’m sitting here right now with mine, Poncho, on a Friday night, playing training games, kissy face, and fighting for the computer…instead of out with my hubby at one of his holiday office parties… but when it comes to buying one for someone else, even if it’s within the same household, I encourage people to really think hard about this type of “purchase”, for both the giver and the recipient(s). Should the giver ruin the surprise by asking if the recipient wants that pet and breed before giving it? Definitely yes! Because the recipient not wanting such a “gift” could be a bigger surprise! An alternative would be to give someone items related to the pet they intend to give: books, pictures, toys, etc… along with a “gift certificate” good for “shopping” together. This way if the person really wants this pet, it can be a shared experience, which can be more meaningful. 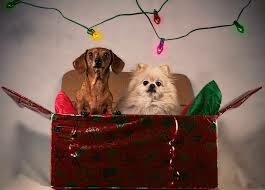 What is a more appropriate vs. a less appropriate pet gift to give a child? It really depends upon the child, how involved they intend to be, and how responsible they are. It also depends upon what the parents expectations of the child are. Parents should investigate different types of animals that can be kept as pets, and the needs of that particular animal. Then match it to what the child can do to participate in its care. 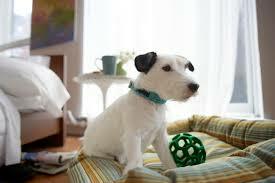 There are also many toys and virtual games that help build responsibility in pet care. 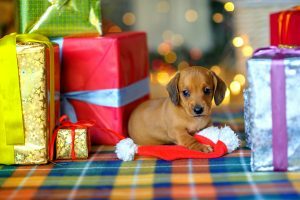 Are there any special things the gift giver should do or consider before giving the pet as a present (i.e., they should ensure that the pet has all its vaccinations, is microchipped, etc.)? Assuming that it is a welcomed gift, taking care of the initial health care needs and requirements is always nice. The gift giver may also want to include a items including: a carrier, crate, bedding, proper collars, leashes, car seat-belt, walking harness, food, treats, elimination box if necessary, elimination bags, ID tags, licensing fee’s, a gift certificate for a veterinarian wellness visit, training class if it’s a dog, a few toys, books or other information about the specific pet. 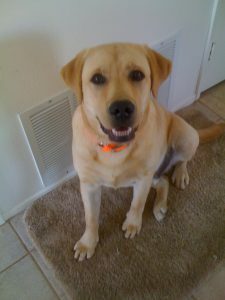 Where should a gift-giver try to get an appropriate pet (i.e., a reputable breeder or shelter)? What sources should the giver avoid? When it comes to adopting a pet or buying a pet, it’s really up to the individual. There are reputable Web sites that can help the decision making process. With millions of shelter animals being killed every year because of an unwritten gold standard for breeding, less than ideal ownership, etc… shelters are certainly a good choice. However there are responsible breeders as well, and should be considered if that is the persons desire. The American Kennel Club has information on helping people choose a breeder. Is it a good idea to research and suggest a reputable veterinarian/animal hospital in the recipient’s area at the time you give the pet gift? Yes. This would be a nice gesture for the new pet owners. I would investigate, then provide a list of a few names, allowing the recipient to make the final choice. They might also want to provide a “gift certificate” for a wellness exam. What are some good alternative gifts to giving a pet animal (i.e., membership to the zoo, donation to an animal-friendly cause or shelter, virtual reality pet game, etc.)? All of these ideas are good. If possible, the person can get involved with the local shelters. They always need volunteers. This way they can get the “pet fix” without the extra added responsibilities.